I still remember the day ,when the first I become the seller of glitter ,I meet some questions. Glitter powder,fine glitter,chunky glitter,what is the differences?I checked on google but no one replys. Time flys,as I touch people and productions,glitter powders throughout the month, I accumulate knowledges on my hands. See?For example,chunky glitter usually represents glitter powder for size 0.375mm，and fine glitter is represented for 0.15mm,similar volumetric weight to sugar. We can produced glitter powder in all the size above,so please dont ask a question like:Do you have chunky glitter? Of course we have.We have all the sizes you need.Trust me,we can send all the samples you need. 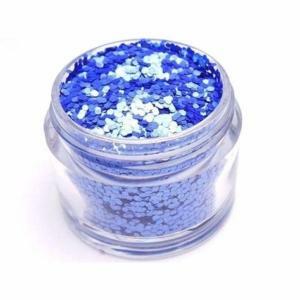 The above picture is chunky glitter,kinds of like cress seeds,hmm. The above picture is fine glitter,kinds of a powder. 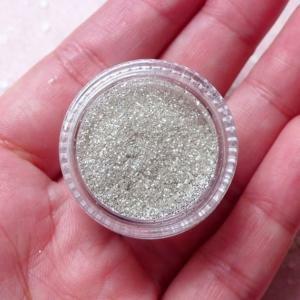 Now you will know the sizes of the glitter powder,hope you can enjoy.